We are a motley bunch of tech geeks from Chorus who are passionate about UFB and the infinite possibilities this once-in-many-generation telecommunications infrastructure upgrade will bring. We are also the company behind the nationwide #Gigatown competition, and look forward to representing our company on these forums. We will provide the odd tech focused discussion topic, while also helping with any queries via PM. We look forward to getting stuck in! Hi, I live in an area where only ADS1 is available, my cabinet is HNE/AG, what would it take to upgrade us to at least ADSL2+? I am told there is fibre to the cabinet too. Or preferbly what would it take to get fibre? I don't think my area is planned at all (I live in Tamahere, Rosebanks drive) we have RBI but it is pretty slow, my line attenuation is 29dB and I'm about 2.4K from the cabinet. 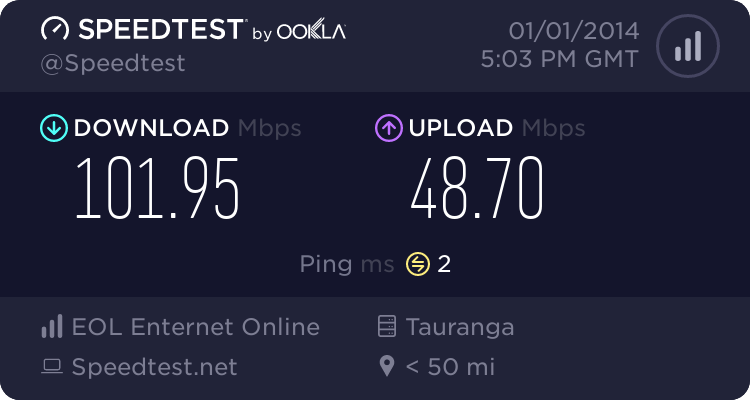 I run an IT business from home so having a higher speed connection would mean a lot. Whats the relationship with Chorus Van, has he gone to the breakers yard? Axiomnz: Hi, I live in an area where only ADS1 is available, my cabinet is HNE/AG, what would it take to upgrade us to at least ADSL2+? I am told there is fibre to the cabinet too. Or preferbly what would it take to get fibre? I don't think my area is planned at all (I live in Tamahere, Rosebanks drive) we have RBI but it is pretty slow, my line attenuation is 29dB and I'm about 2.4K from the cabinet. I run an IT business from home so having a higher speed connection would mean a lot. knoydart: Whats the relationship with Chorus Van, has he gone to the breakers yard? Welcome, you do need to explain the difference between you and the chorus van? nakedmolerat: Welcome, you do need to explain the difference between you and the chorus van? hi chorus can i ask you to look into the timeline for my street? Hi Chorus, good to see you on Geekzone (although Chorus Van was here before and very helpful).